Somerset College prides itself in offering academic excellence. Our excellent Grade 12 National Senior Certificate results, through the Independent Examination Board (IEB), bear testimony to this. We strive at all times to be a truly academic educational establishment and the classroom interrelationship between student and teacher is paramount to the College’s approach to educating all students. 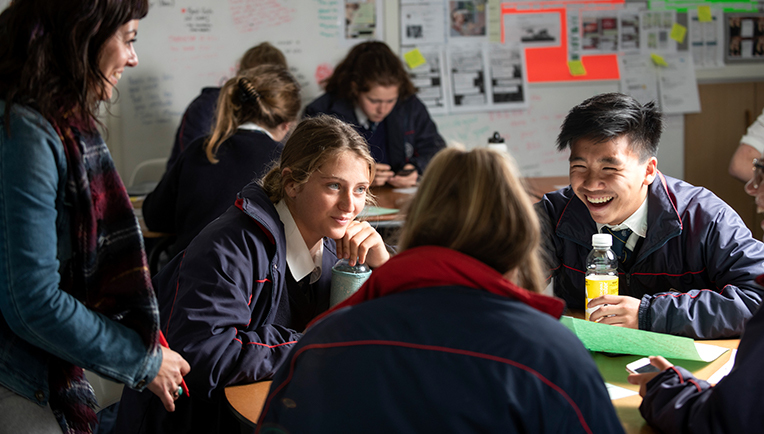 A core value of our educational philosophy is that our students are expected to work hard and teachers to motivate their pupils; students are expected to be interested in the educational process and teachers to cultivate this interest; our students are expected to enjoy the discipline of study and teachers to teach in a disciplined environment. An education at Somerset College prepares its students to leave school and progress into tertiary study or employment with confidence. In keeping with the influence of technology on education, Somerset College offers a range of computing and information technology systems that enable all our students to understand and utilise latest technical innovations for learning. Our teachers also make use of this new technology, for example data projectors and smart boards. 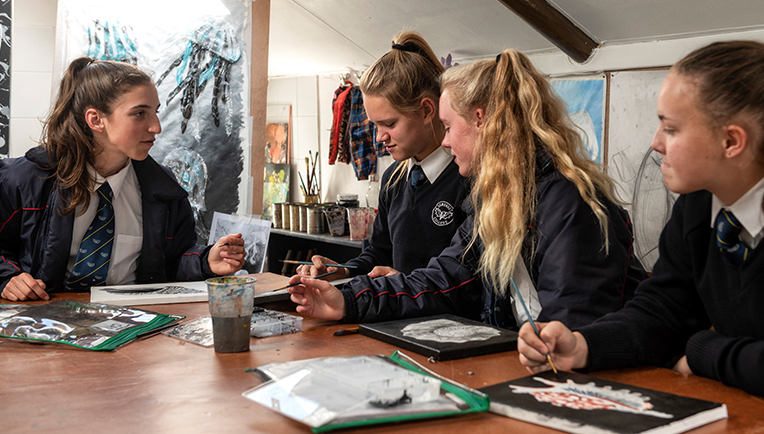 Our design and visual arts classes, the extensive Music department, the Drama department, as well as the core academic studies allow for a wide range of interests. We provide a core curriculum which leads to the development of age appropriate skills, concepts and critical thinking. Somerset College has a very active Student Development Unit (SDU) staffed by highly qualified and experienced individuals. The SDU plays a pivotal role in a number of areas: personal counseling, subject choice assessment, career counseling, learning enlightenment, academic interventions for students with specific learning profiles, study skills training and homework facilitation. Somerset College has an active Academic Portfolio run by student leaders and a committee of interested students. Their role is to facilitate dialogue between teachers and students on academic matters. The Portfolio has developed grade-specific Facebook groups so that the students can engage with each other about homework, test schedules and projects. At the start of 2015 Somerset College introduced the Cambridge Programme which allows students to complete their A levels through a two year staged route consisting of AS level in the first year and A level in the second year, with examinations written in November of each year. Somerset College is an accredited DSD (Deutsches Sprachdiplom) school and as such part of a worldwide partner school network consisting of more than 1,100 PASCH/DSD schools. This means that Somerset College is able to hold DSD II exams at our school which has been sanctioned by KMK, the German authority in charge of the German Language Certificate (DSD). Somerset College is one of only six South African schools which has been chosen to offer the DSD II German Language Programme and the DSD II examination. DSD II stands for the Higher German Language certificate and is a state recognised university entrance language examination in Germany.